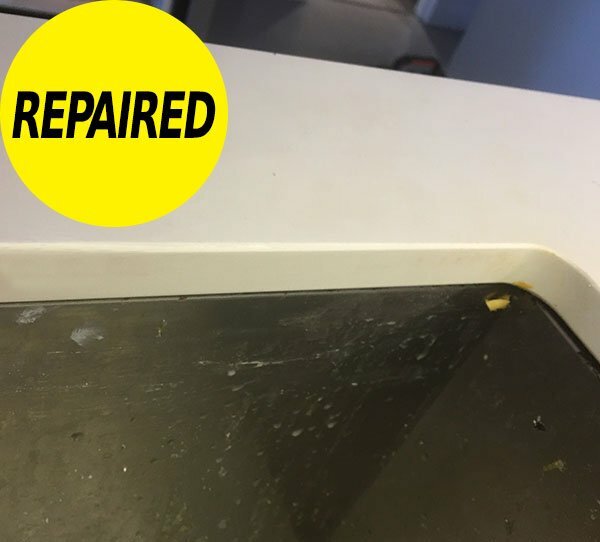 Generally there is three ways to repair a Stone Benchtop Chip. 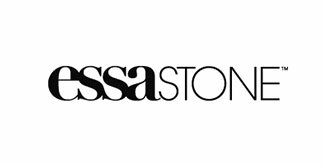 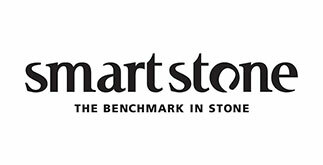 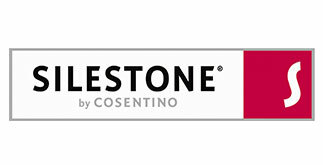 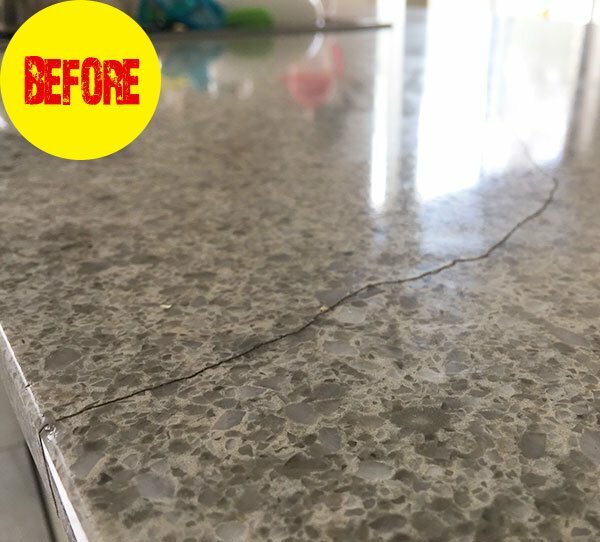 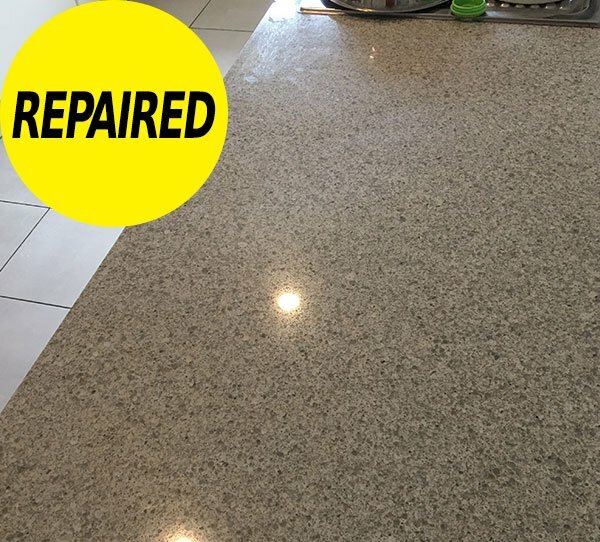 Traditional cheaper Caesarstone and Stone Benchtop chip repairs are not something we would suggest or recommend. 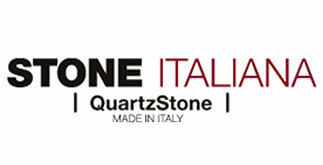 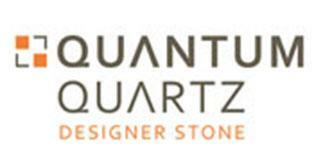 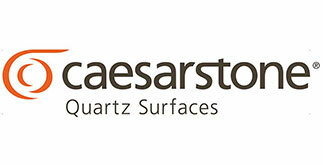 Due to the incompatibility, with brands like Caesarstone, Essastone, Silestone etc. 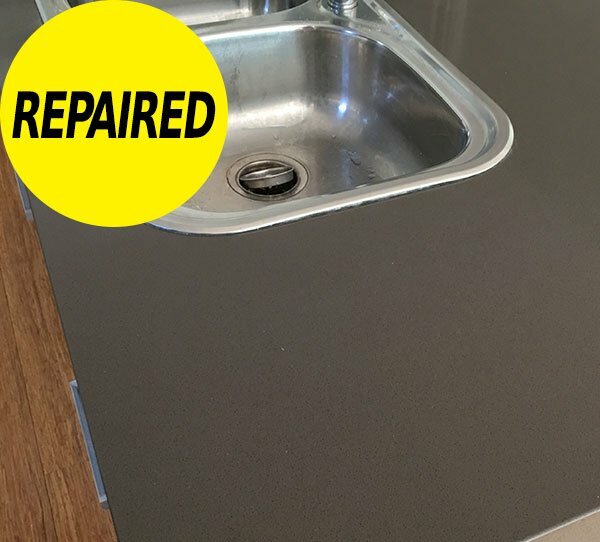 Consequently you get what you pay for with cheaper repairs. 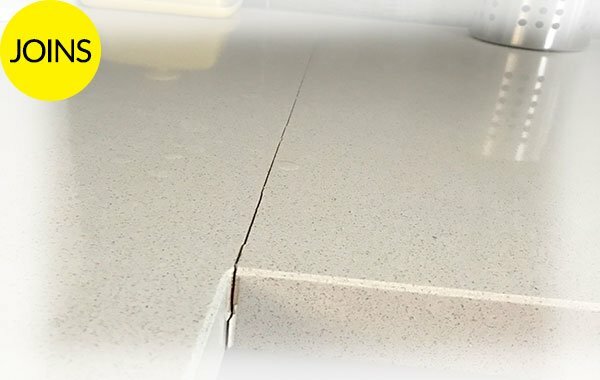 Cheaper repairs commonly used natural stone adhesive (not designed for engineered stone). 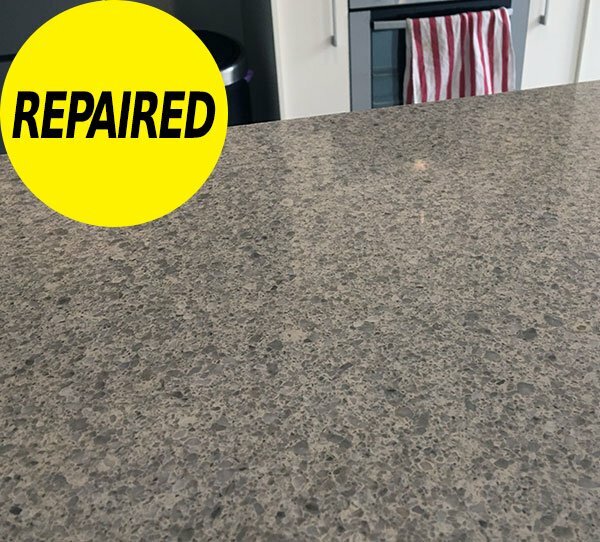 That can stain, a solid colour with no quartz or any other components added to blend the chip back to the original look and at worse fall out overtime. 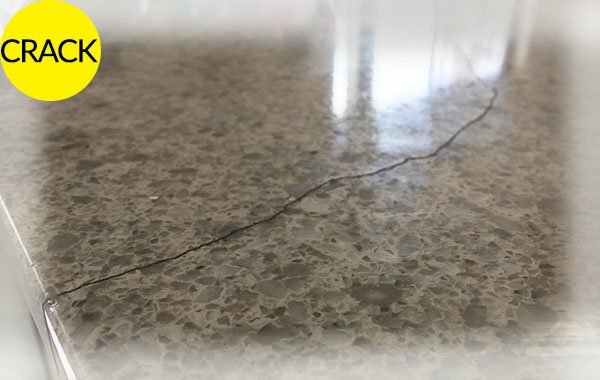 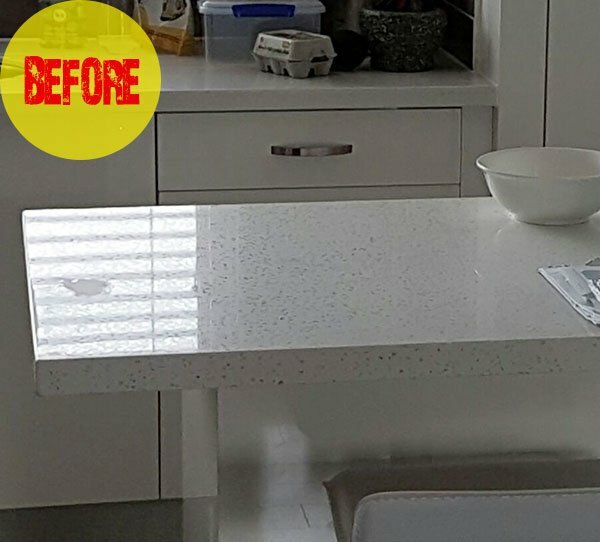 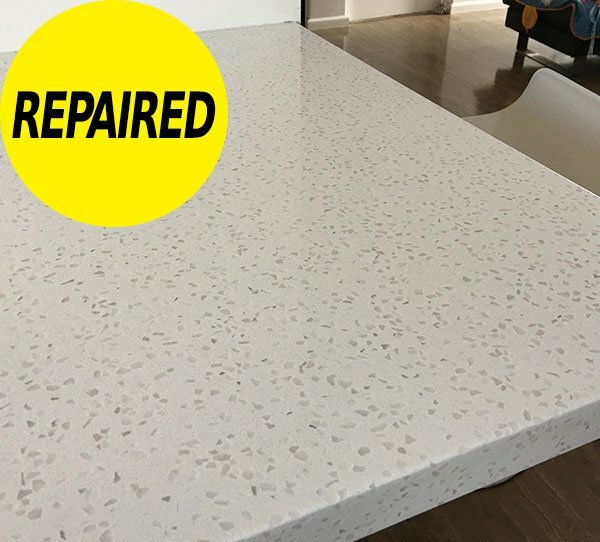 Highly Skilled technicians repair stone benchtop chip including edge chips of Caesarstone, Essastone, Silestone or any engineered stone . 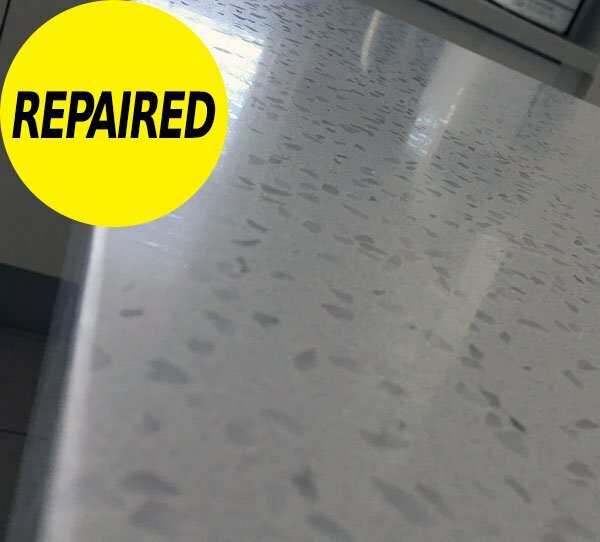 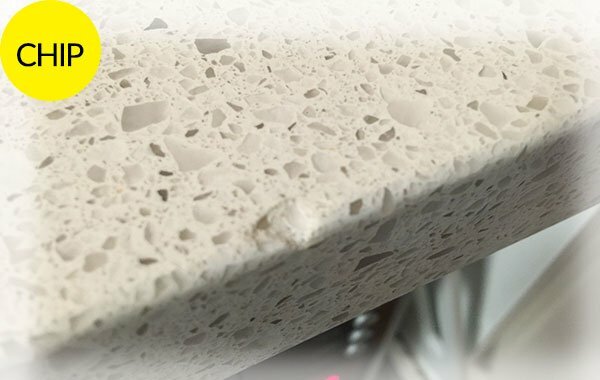 Stone Guys’ benchtop chips repair /s rebuild chips, cracks & scratches with the components that the stone benchtop is made from. 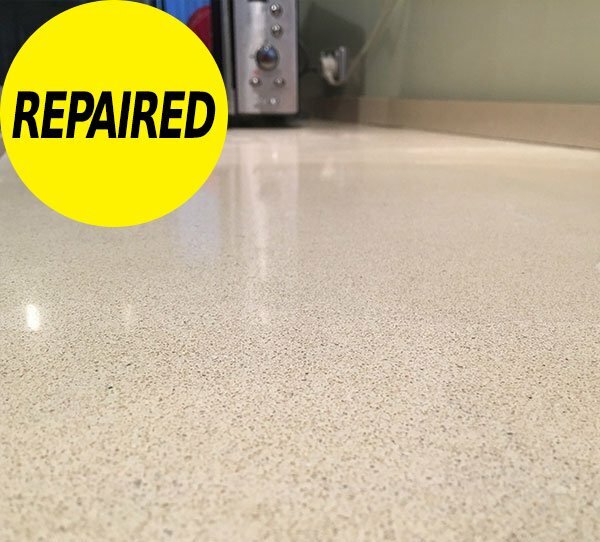 On average a Stone Benchtop Chip Repair take 60 to 90 mins. 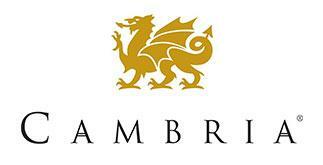 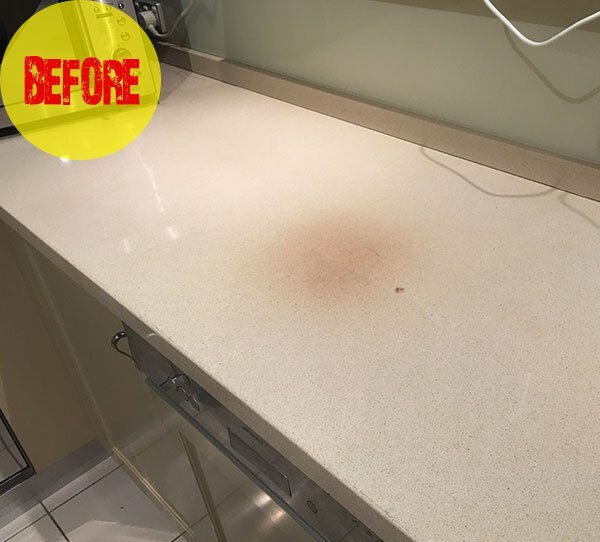 Severe damage to the surface from Chemicals including White Spots and Burns can take upto 5 hours to fix. 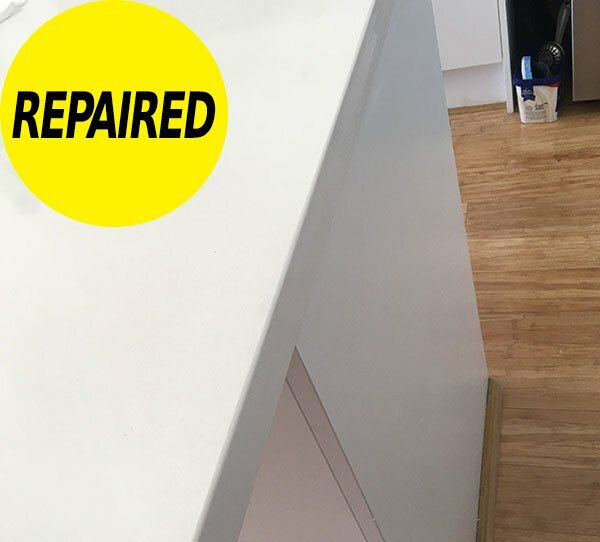 Only the damaged area needs to be repaired. 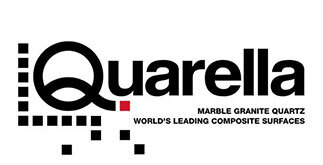 This is due to our superior, cutting edge technology, skills and in-house compounds. 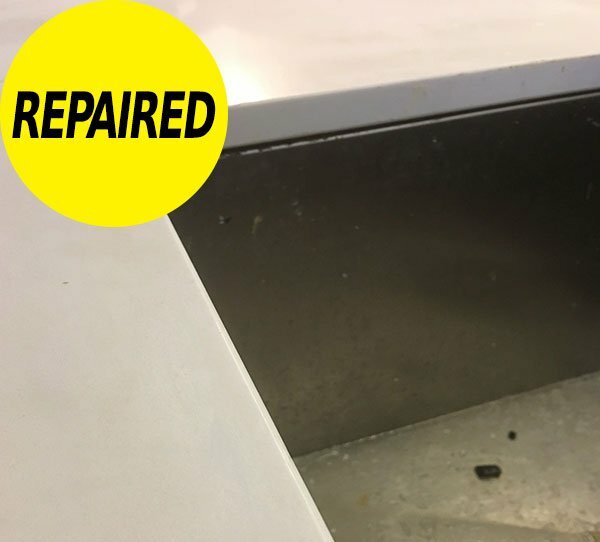 Why there is one or two companies worldwide able to do these types of repairs. 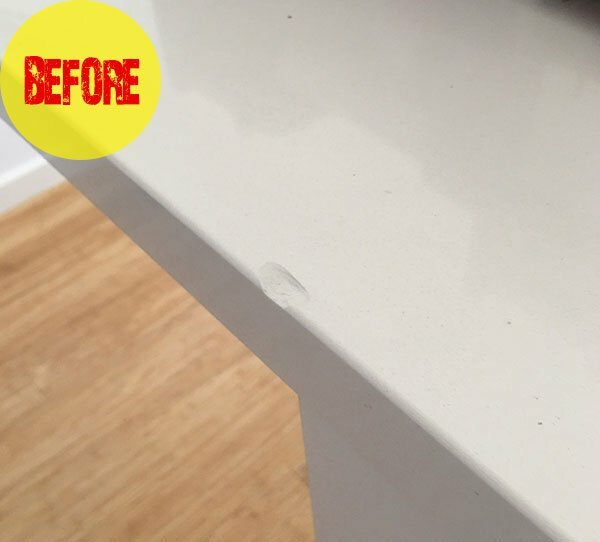 When is a stain not a Stain? 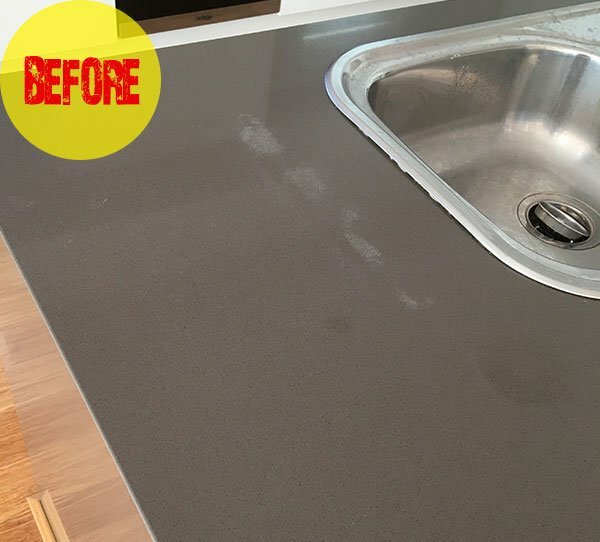 Stone Benchtop Stains can be removed with especially formulated cleaners for Engineered or Quartz Stone. 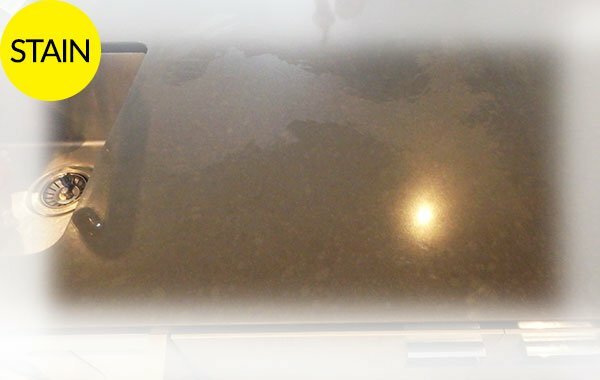 If a stain DOESN’T lift away from the listed products here that are suitable for engineered stone. 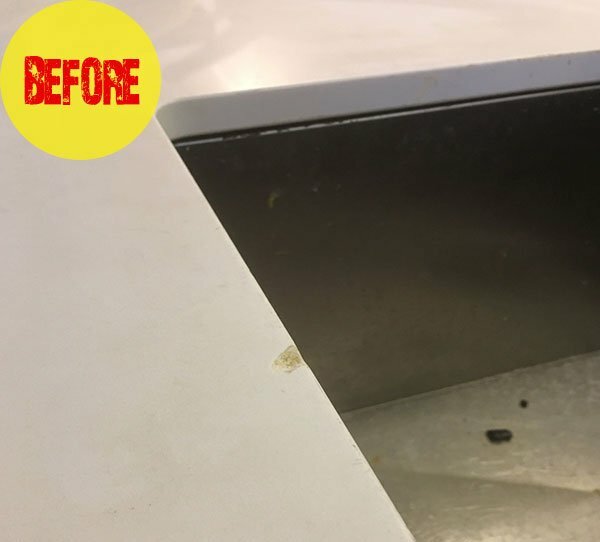 Most likely it is physical damage to the surface and any attempt to remove it with cleaners or google suggestions WILL CAUSE FURTHER DAMAGE!…. 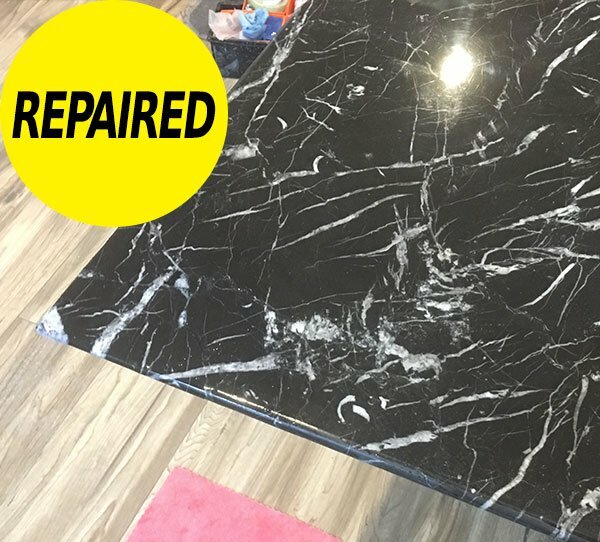 only professionals can repair this type of damage. 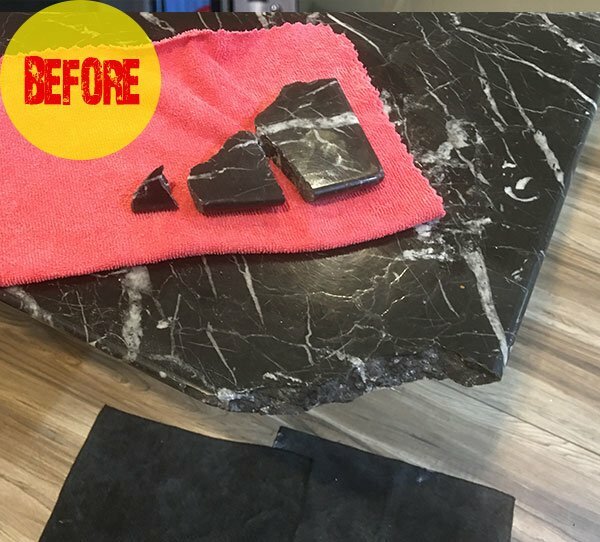 After years of use or maybe from a few months. 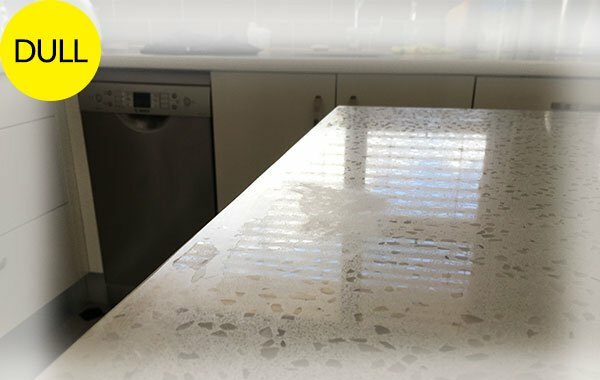 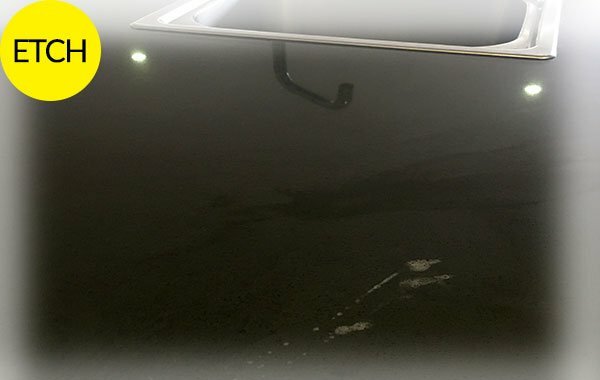 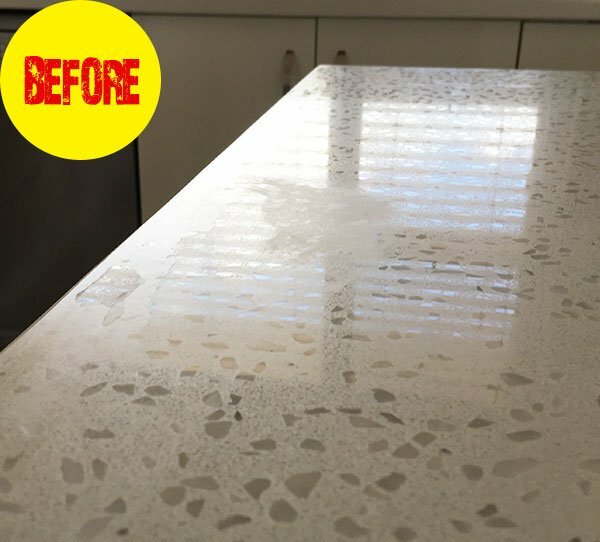 The shine to your Stone Benchtop including Caesarstone has lost it’s Shine or Polish. 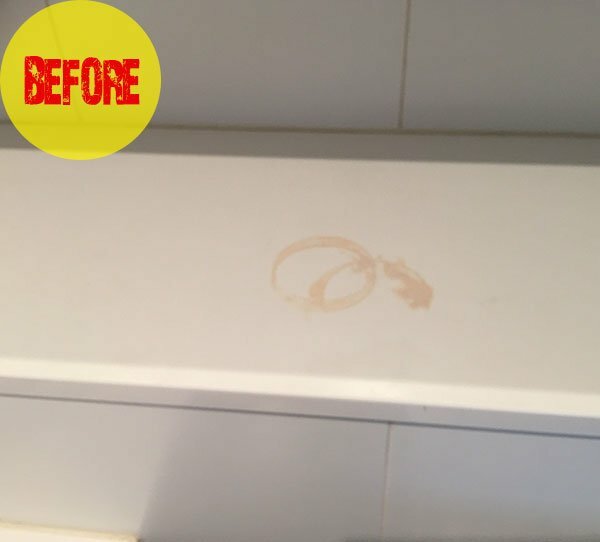 Consequently harder to keep clean and the big tell tale is….always Fingerprinting. 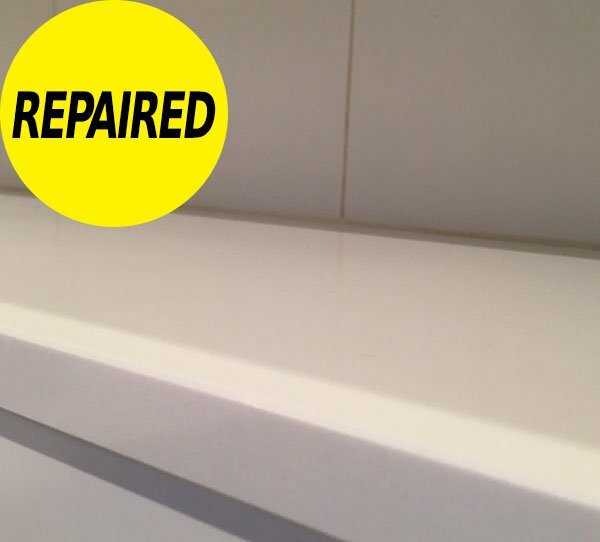 Easily fixed, by Stone Guys Stone Benchtop Cleaning Kit and Products. 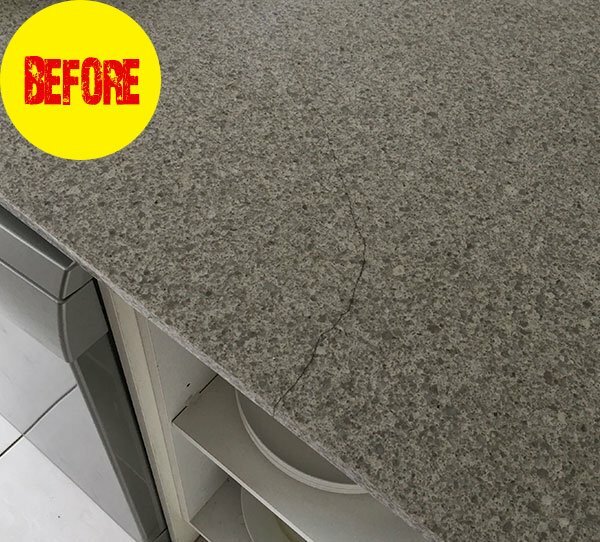 EASY, SIMPLE and EFFECTIVE CLEANING SOLUTION for all QUARTZ & STONE BENCHTOPS.